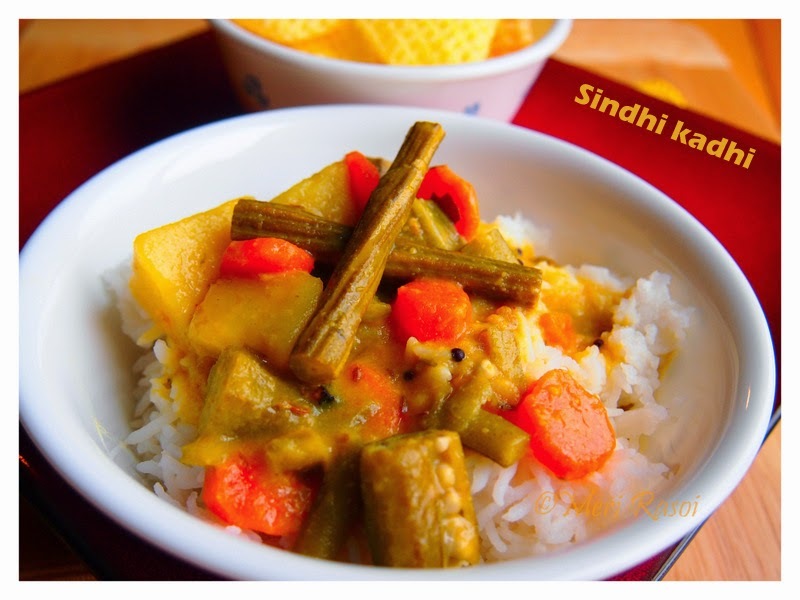 Sindhi Kadhi is a delicious tangy gram flour based curry with mixed vegetables. 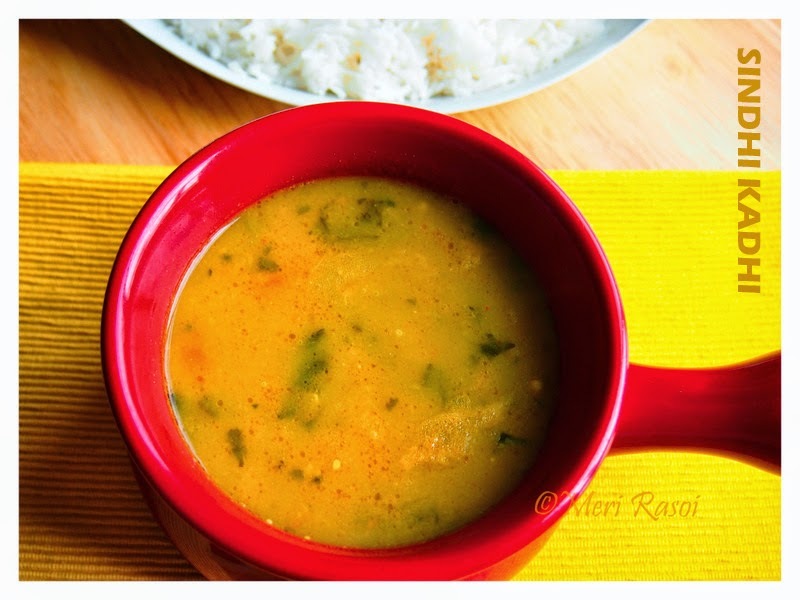 This a very easy to prepare healthy curry that tastes even better the next day.. 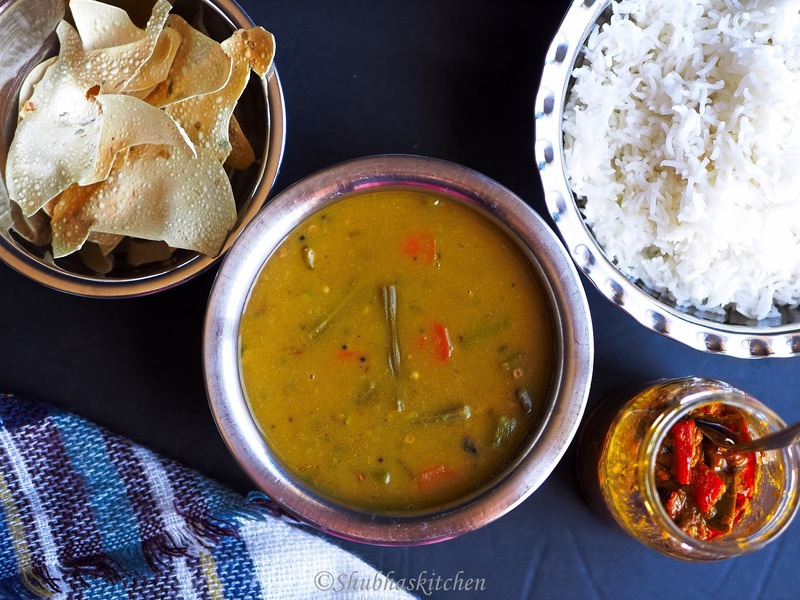 So it is perfect for large gatherings as you can prepare it well in advance . 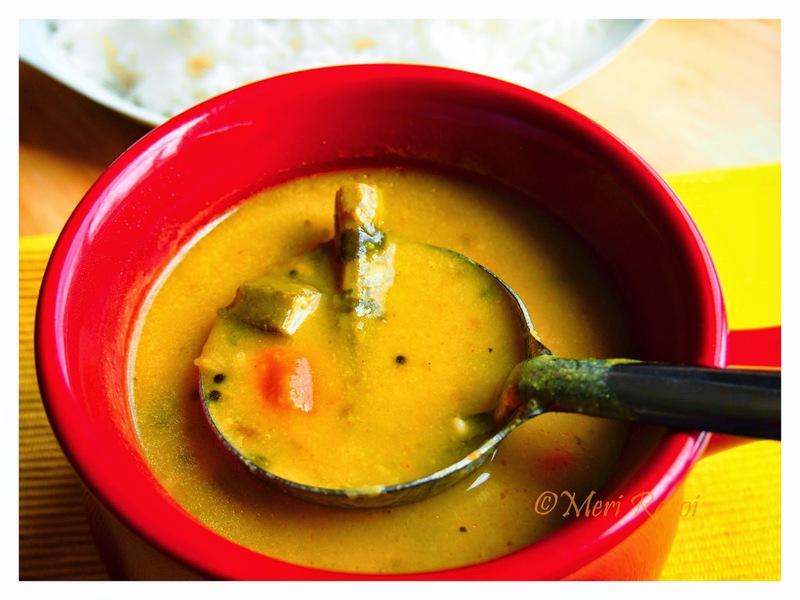 Serve it with hot rice and you have a perfect comforting meal. 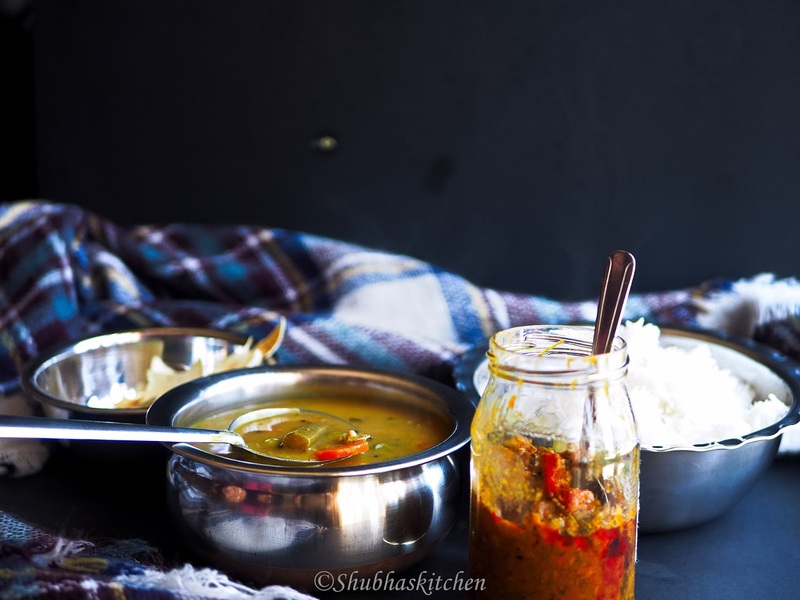 My friend's mum makes this curry so deliciously. 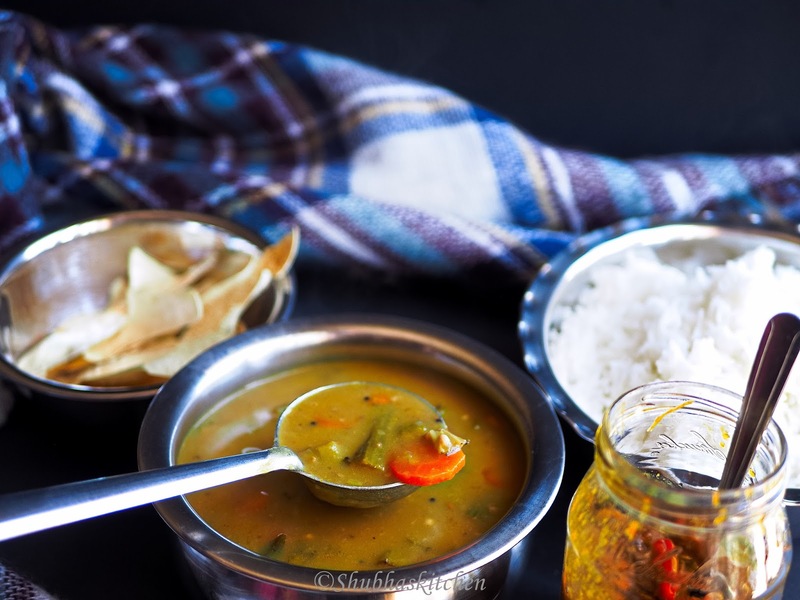 I have eaten this curry so many times at her place with piping hot Basmati rice. So I thought , it was time I made it all by myself. The first time I tried, I sent some to my aunt so that she could give me her feed back. 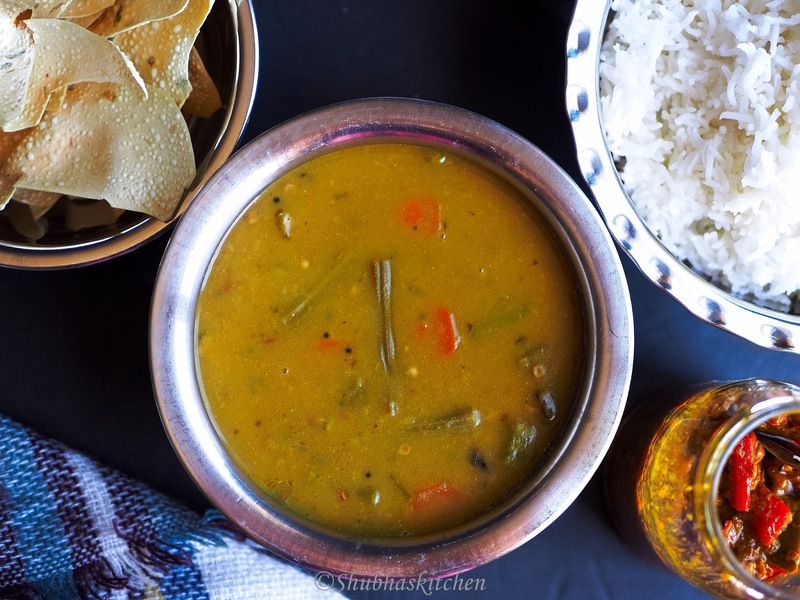 She did give me some good pointers which I applied when I made the Kadhi the next time and it came out perfect..
Notes : If you are using store bought Tamarind concentrate, then using about 2 tsp. 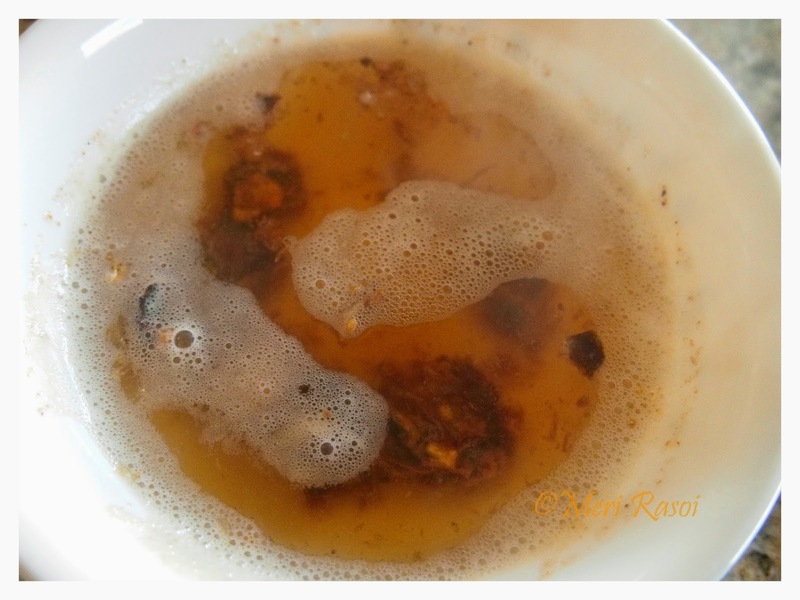 Soak the tamarind in some hot water for 30 minutes. Mash the tamarind well and extract pulp discarding the waste. 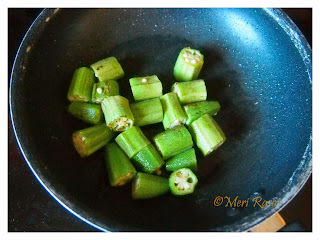 Heat 2 tsp oil in a nonstick pan and saute the chopped Okhra. Cook for 5-7 minutes. Once done, set it aside. Heat 3 tbsp oil in a thick bottomed pan. 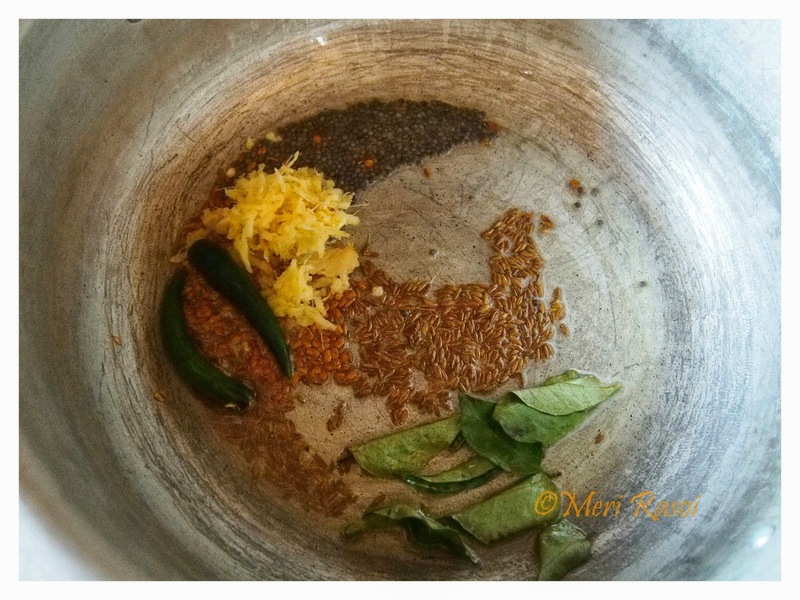 Once hot, add the mustard seeds, fenugreek seedsand cumin seeds. 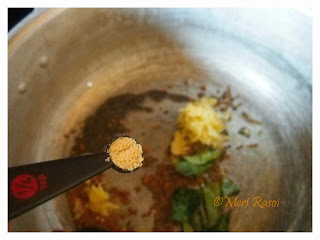 Once the seeds start to splutter, add the curry leaves . 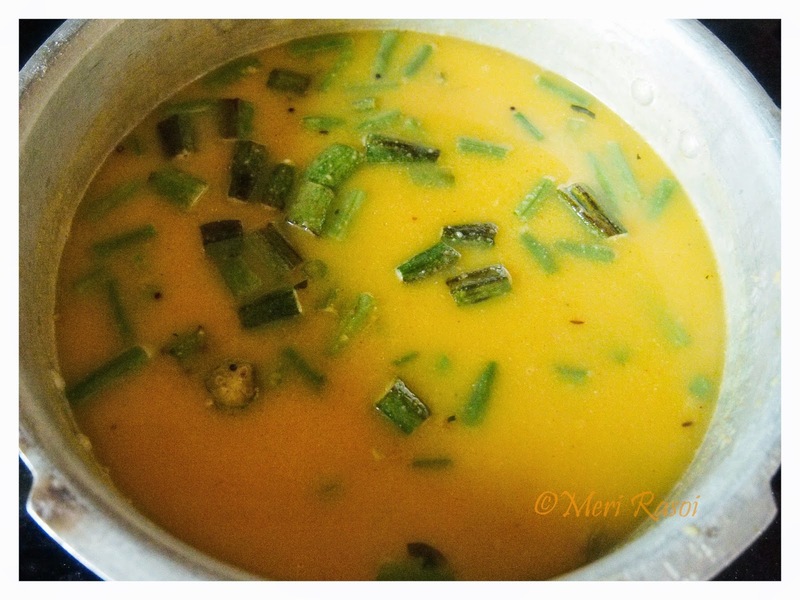 Now add the green chillies and the grated ginger. Add the asafoetida. Saute for a couple of minutes. 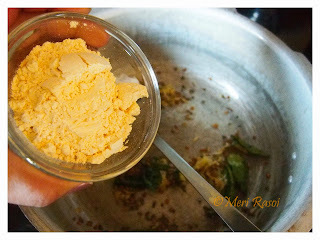 Add the chickpea flour / besan. Saute for a good 15-20 minutes in a low heat. The rawness of the flour goes away and the flour attains a nice golden brown color. 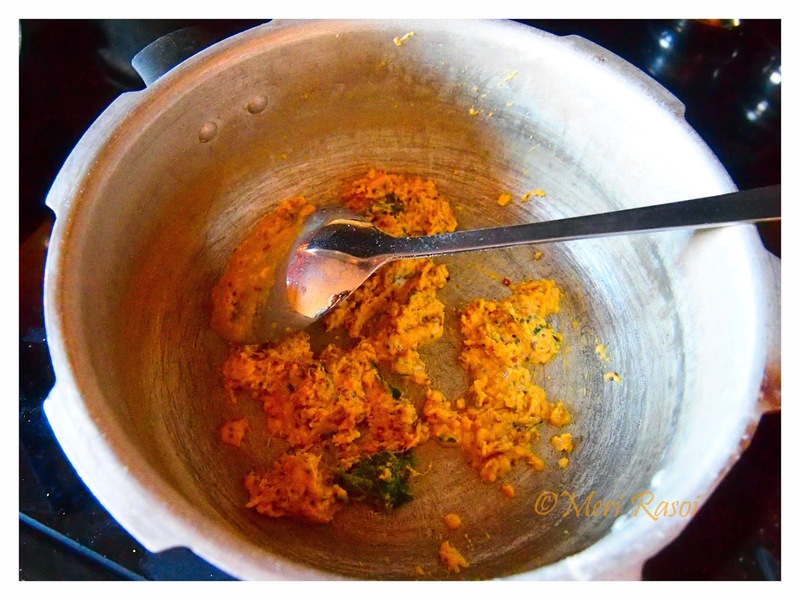 Note: Its important to saute the flour in low heat or else the flour will get burnt and that will spoil the taste. 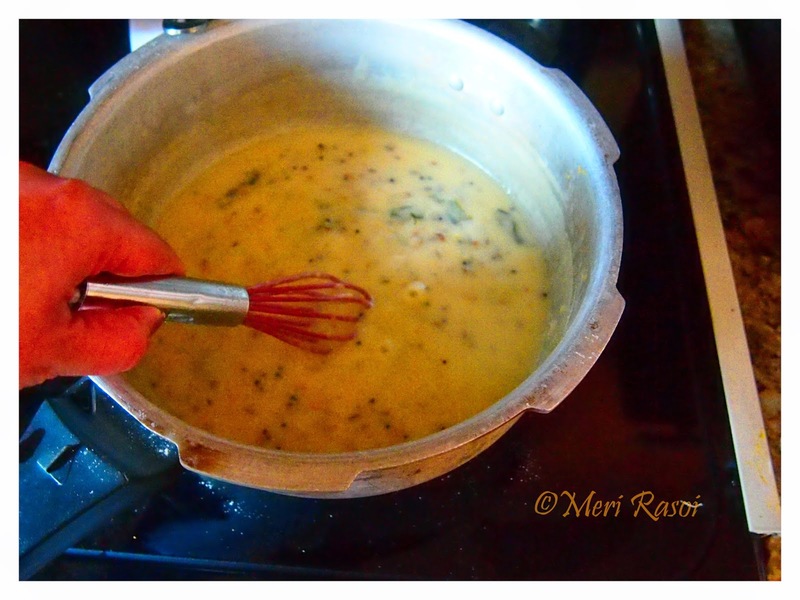 Add 2 cups of hot water to the roasted chickpea flour and whisk the mixture well until well blended. 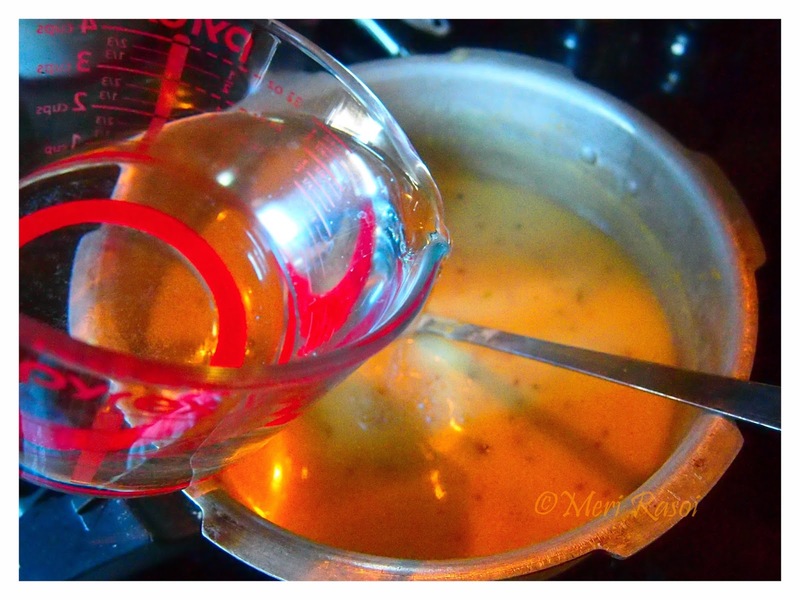 Once well blended, add the remaining hot water. Add the turmeric powder and the red chilli powder. Mix well and let the curry cook in low flame for about 15 minutes. Make sure to stir at regular intervals. 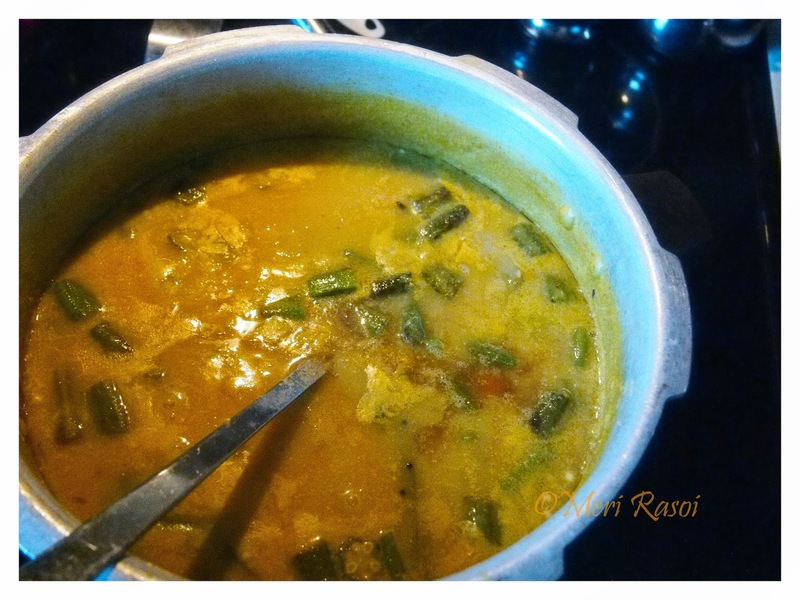 After 15 minutes, add the vegetables including potatoes, carrots, green beans, guvar (cluster beans), drumsticks and okhra (which we had cooked earlier). Mix well . 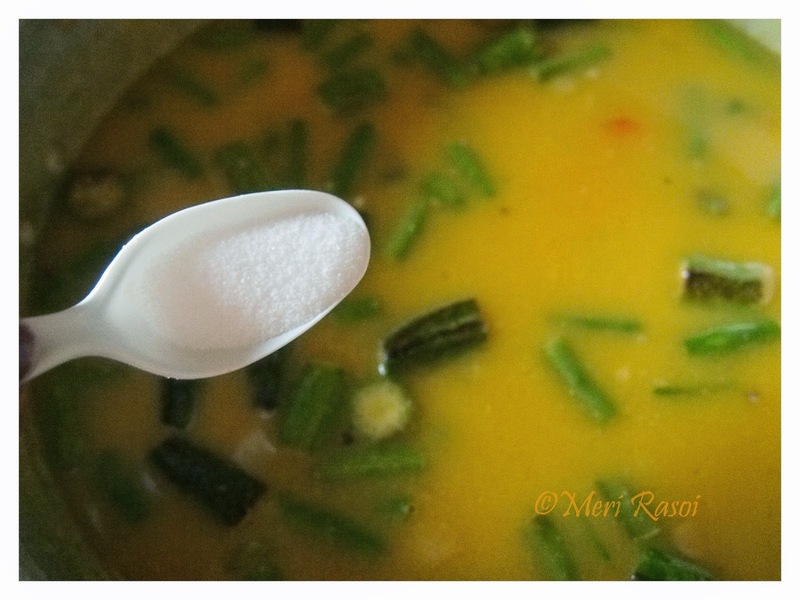 Add salt and cook on low-medium heat until the vegetables are well cooked. 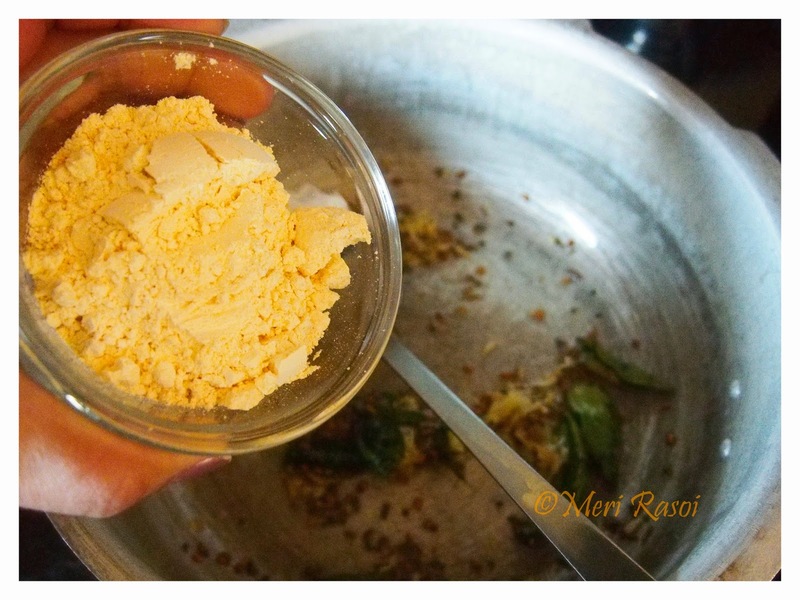 Once the vegetables are almost done, add the extracted tamarind water and jaggery powder. 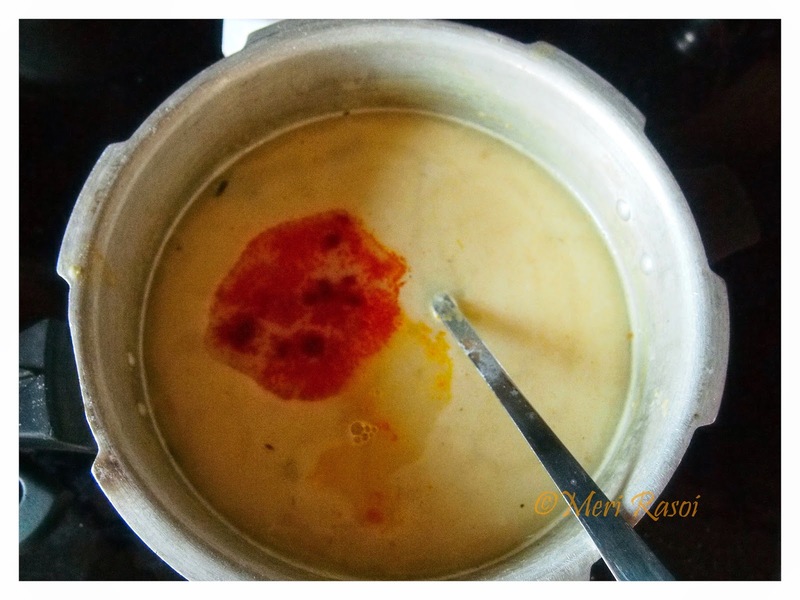 Cover the kadhi with a lid and cook covered for 10 minutes. Turn off the heat. 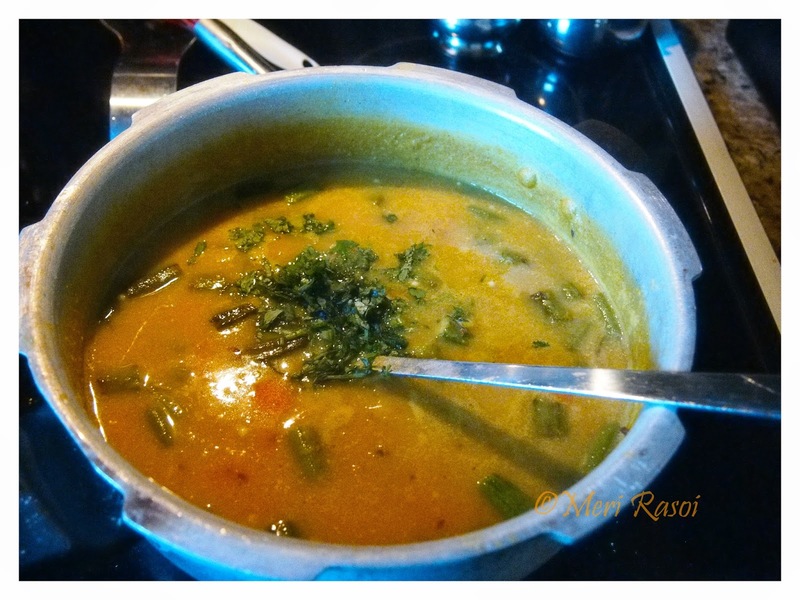 Garnish with chopped cilantro and serve hot with rice. Lovely Kadhi! 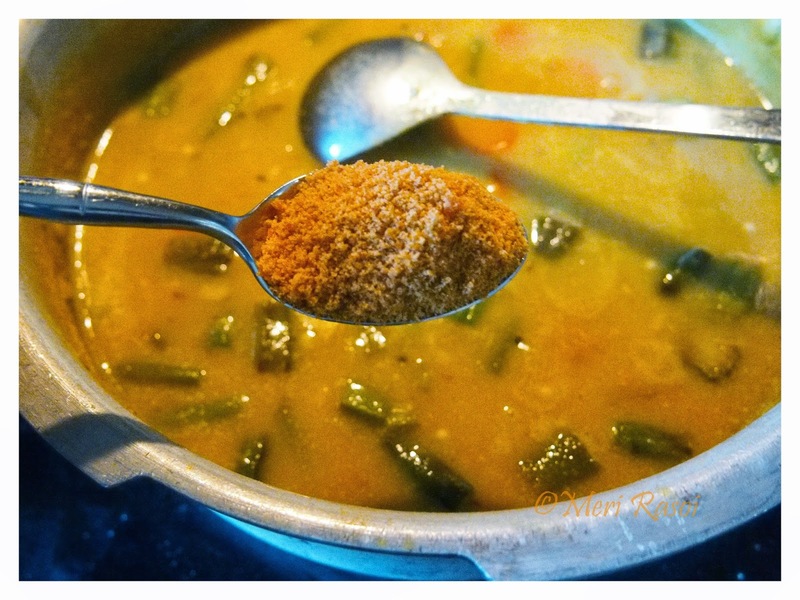 I would like to try this sometime for my family :) delicious and healthy! That's a perfect looking bowl filled with a whole gamut of veggies, truly visually inviting and appetizing. Would have been the perfect accompaniment with piping hot rice. Lovely dear. 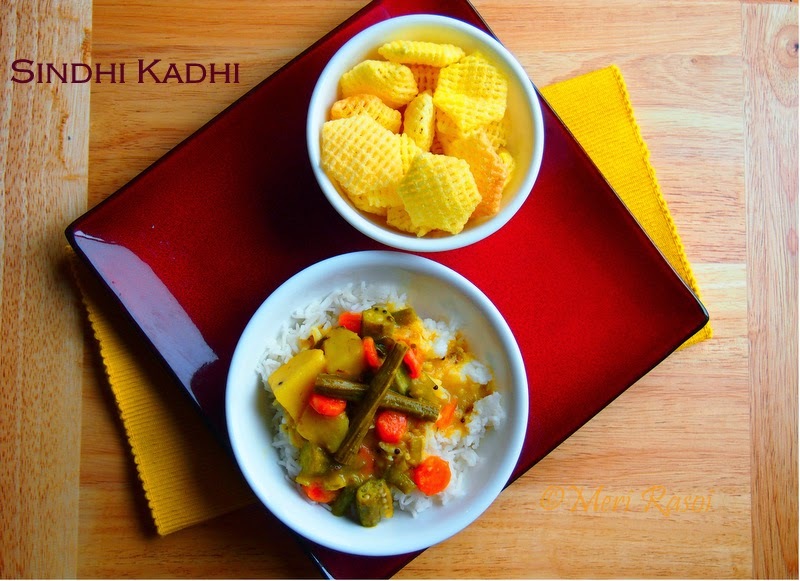 Looks really tempting, healthy & delicious kadhi ,Lovely clicks. 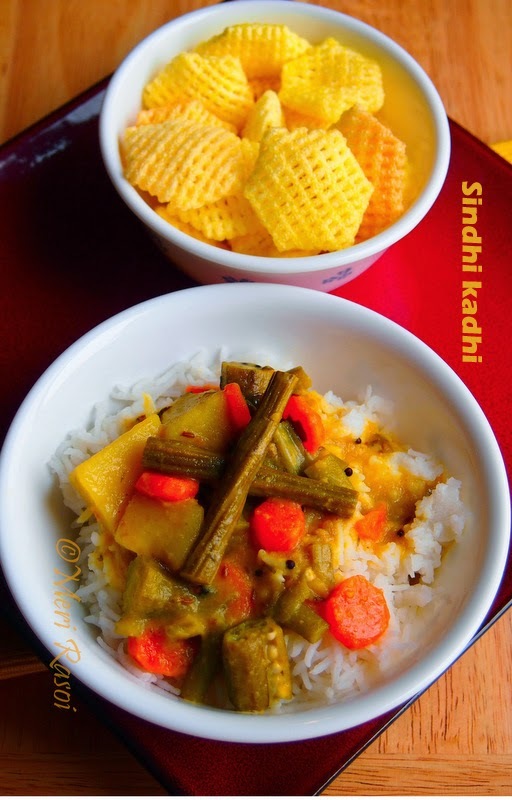 I love Sindhi Kadhi. And you made it look so inviting. 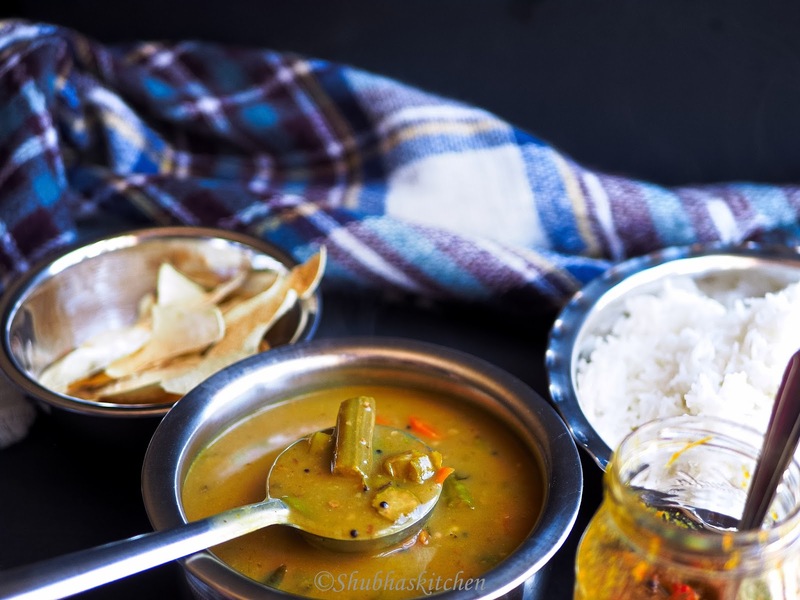 Would love to savor that yummy and comforting bowl right now! 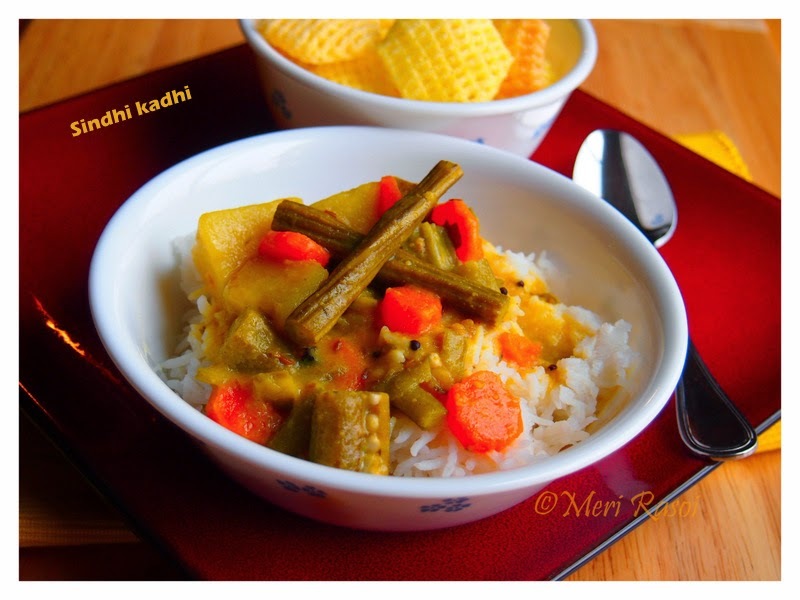 Super yummy kadhi with all the goodness of vegetables:).....Drooling!! looks super delicious! want to eat some with hot rice, yum!! So flavourful. My fav is included - the drumsticks.